Price includes mainland UK delivery excluding Highlands & Islands. Please call for delivery to other destinations. 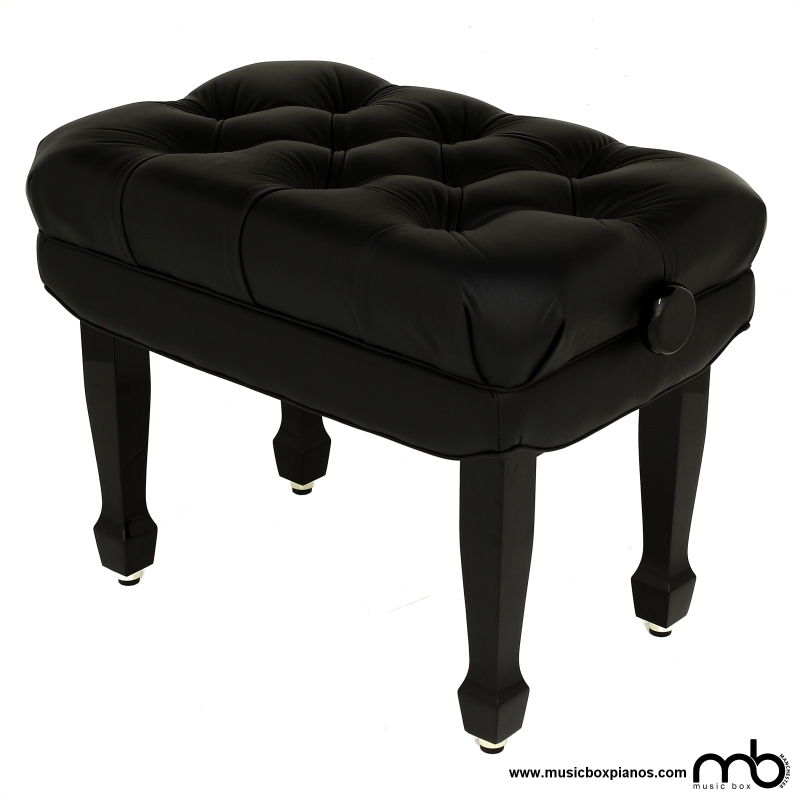 A luxury high quality premium Leatherette, deep button, height adjustable piano stool. Strong, sturdy rise & fall adjustable mechanism with solid wood construction. Extra premium padding – very comfortable. Padded top with 10 tufted buttons. Spade style tapered legs with chrome feet.